This morning I cycled with Sebastian and Christian to unexplored water. 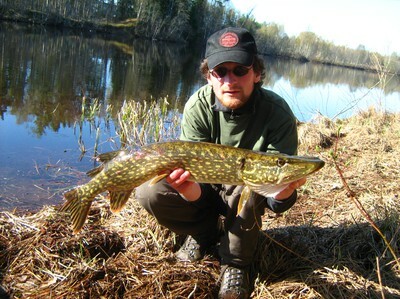 Pike was the species we were aiming at with both fly and jerk. Accessibility was quite fine at first, bringing me a baby pike on a Slider. Crawling further on through dense bush leads me to a small overgrown backwater. It took not more than five casts before I hooked into another slightly bigger fish. 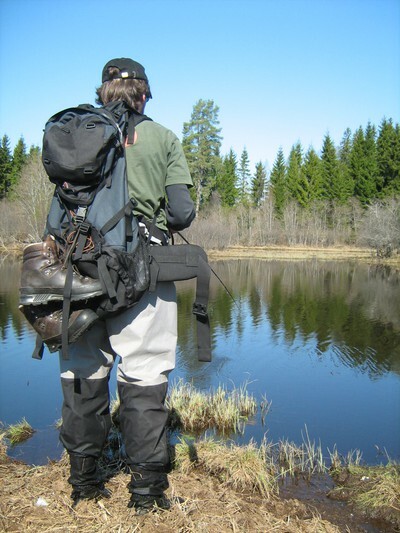 We fished on - now what looked fly fisherman’s paradise. Crossing flooded grassland Sebastian enjoyed some unplanned wet wading in his trainers. 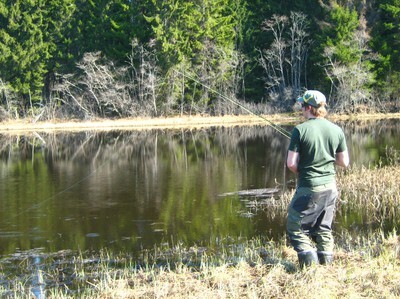 Although fishing on for a while in beautiful sunshine we took up no further. The burning sun lets us finally give up around noon. 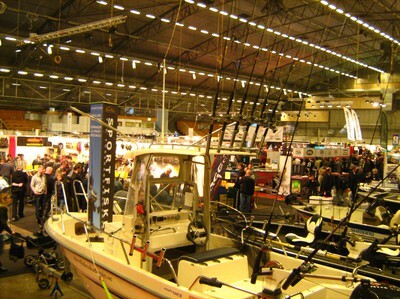 From Friday till Sunday „Sportfiskemässan“, Swedens biggest trade fair for sport fishing, was held in Jönköping. Slightly over 11.000 visitors marked a new visitor record. We already arrived on Thursday to set up our stand. Besides informing about our education programmes we invited visitors to some basic flytying, wire trace making and welding loops on flylines. Anybody who did not make it to the opening day of the sea trout season at the west coast had the chance to play the season’s first at our simulator. Other exhibiting companies were e.g. 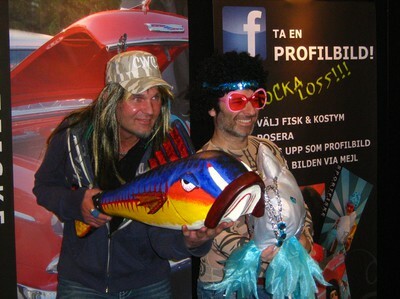 Normark (Shimano), Abu (Pure Fishing), CWC (StrikePro), BIOS (Daiwa), FlyDressing (Vision), Guideline and Svendsen (Savage Gear). 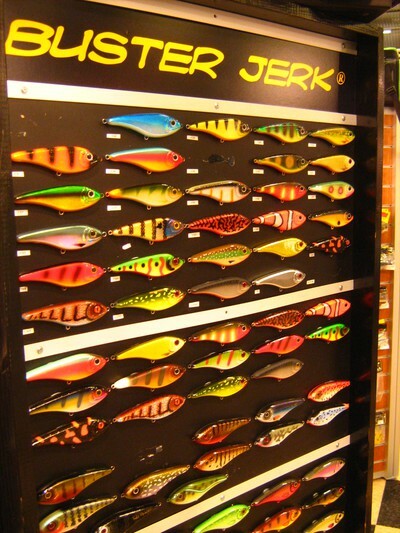 And not to forget the numerous tackle shops and travel agents.